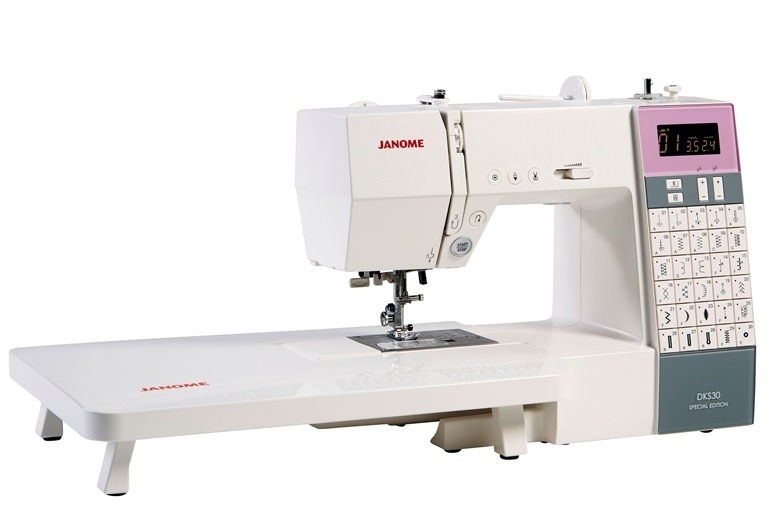 Home > Sewing Machines > Janome Sewing Machine >Janome DKS30 Special Edition Computerised Sewing Machine. Normally £479, Save £50. Includes FREE JQ6 Quilitng Kit worth £129. 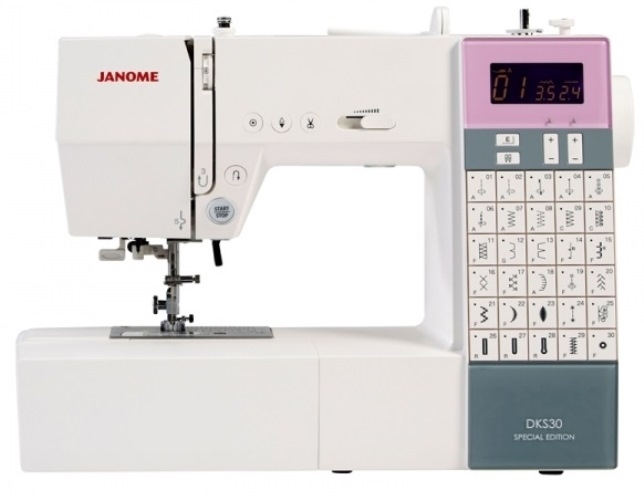 The Janome DKS30 is a really easy to use, fully computerised product and yet it is packed with so many powerful features. 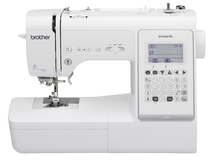 I am looking for a machine for Quilting there is no mention of the sewing area to the right of the needle. What size is it? 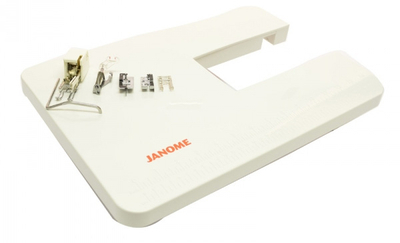 Answer 1 : For this machine, the arm space to the right of the needle is 17cm (6.69 inches). 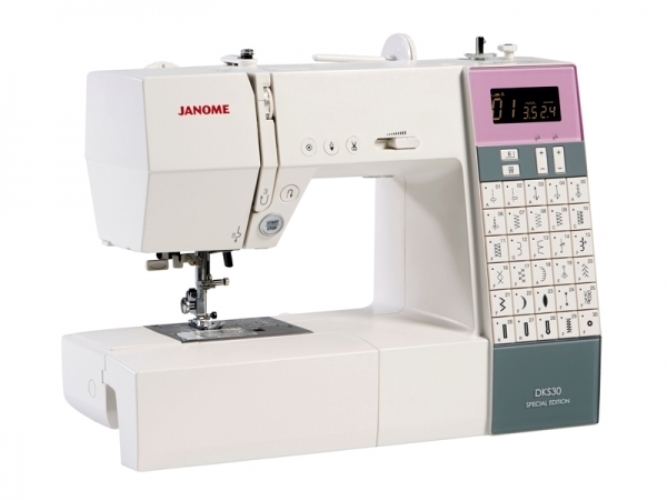 Hi Are you able to tell me the rpm (stitch speed )on the Janome DKS 30 please? Many thanks. 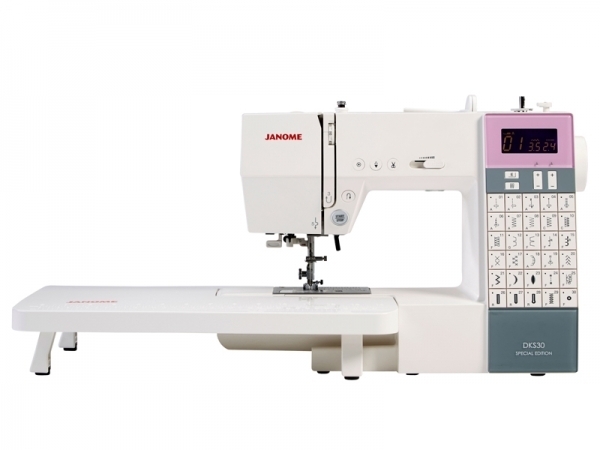 Answer 1 : Hi, the Maximum Sewing Speed of the Janome DKS30 Is: 820 s.p.m. I am really pleased with thus item. The item is very heavy and is made mostly of metal parts as far as i can tell. The needle arm cover opens easily so i can clean inside the item. 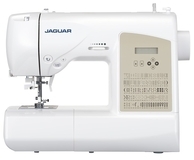 I am exceptionally pleased with the speed i have found i can go full speed to slow instantly or vice versa without thread problems like my last item. I also prefer the LED lights its much brighter than the standard bulb. This came with a hard cover which was great! Overall the item runs really well without problems and has become my favourite item so far! Unsure of what machine to go for? Call, email or chat. We will be more than happy to assist! 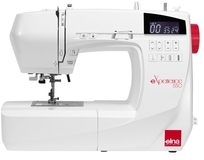 The ideal creative machine with a huge choice of stitches..